Bondville: I'm selling these Marc Jacobs heels - with charms! 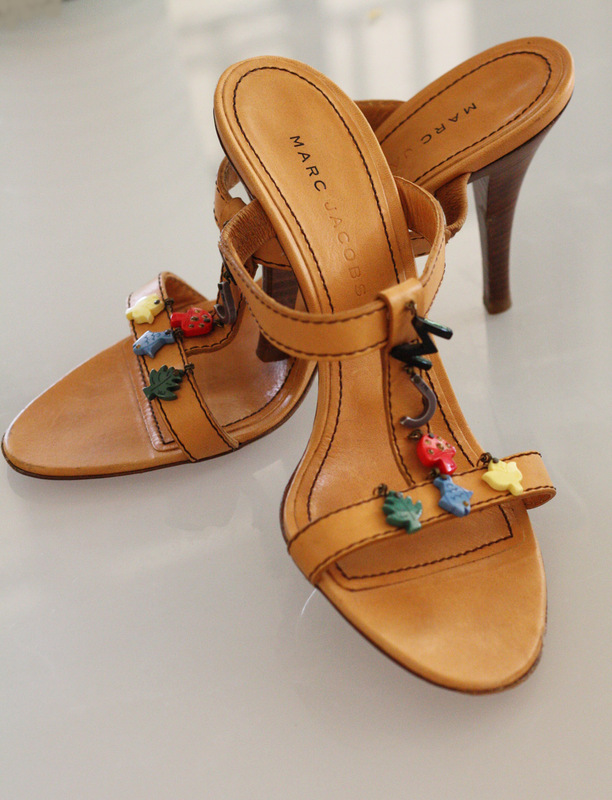 I'm selling these Marc Jacobs heels - with charms! Last shoes for sale - promise! I'm sad to say good-bye to these very special Marc Jacobs shoes that I bought when were were living in New York City. Ther are strappy heels in tan leather with the cutest MJ charms - look great with jeans and frocks; bit perfect for Spring Racing too. They are a size US 8 which are a little too small for me (I'm an Australian size 8 - these shoes are more like 7.5 Australian). I only wore them twice. Get yourself a major bargain over on eBay.